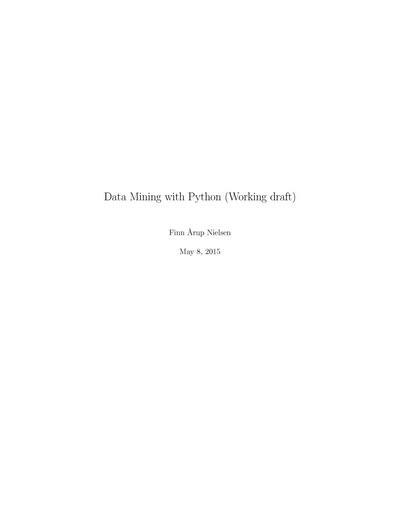 This book grew out of DTU Course 02819: Data Mining Using Python given at the Technical University of Denmark. It should not be regarded as an introduction to Python. DTU Course 02819: Data Mining Using Python at the Technical University of Denmark. Senior researcher at DTU Compute specializing in data mining of complex data from the brain and social media.